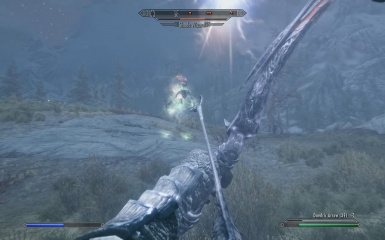 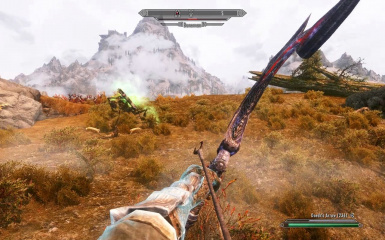 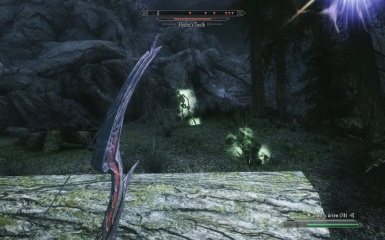 This Mod fixes the game bug that, if the player has the Bullseye Perk, on a bow shot that will paralyze the target for a few seconds, the Paralyze Effect and the falling over animation starts the instant the arrow leaves the bow rather than when the arrow actually hits the target. 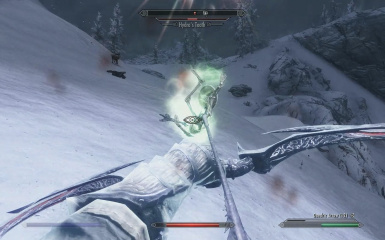 May also fix the Frozen Weapons bug. 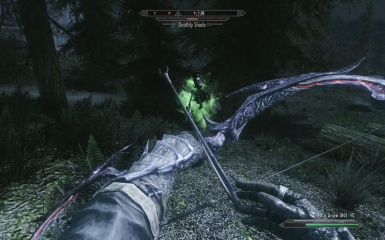 rather than when the arrow actually hits the target. 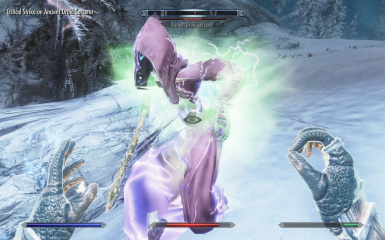 The Mod creates a replacement Magic Effect Shader similar to the "HitEffectArt"
more just to make sure the effect and animation start after the hit. 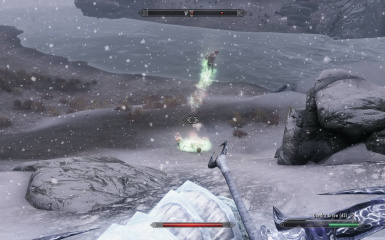 "Magic-Magic Effect", and "PerkBullseyeParalyze", under "Magic-Spell"
so if any other Mod also changes these entries, one or both Mods may not work. 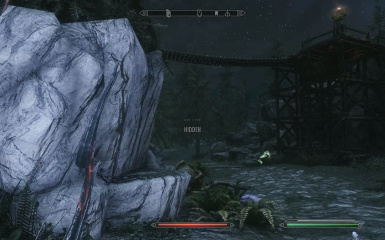 The BullseyePerkParalyzeBugFix.txt file will go to the Skyrim install directory. 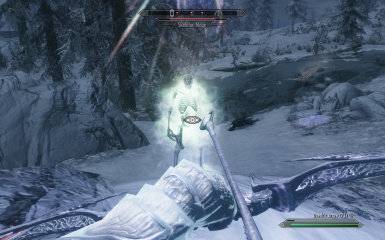 The BullseyePerkParalyzeBugFix.esp file will go to the <installdir>/Data directory. 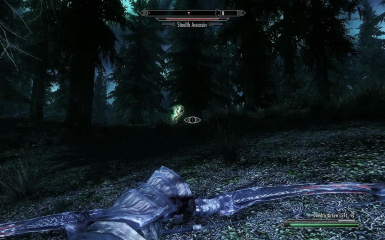 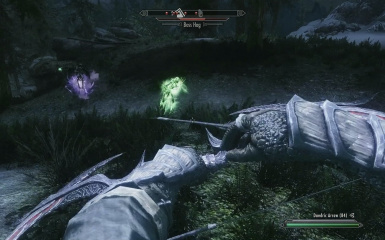 Upon starting Skyrim, ensure that the BullseyePerkParalyzeBugFix.esp is active. 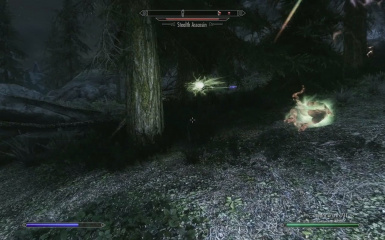 duration lasts 8 seconds, rather than 2.